Joseph Roth, best-known as the author of the novel The Radetsky March and the non-fiction work, The Wandering Jews, was one of the most seductive, disturbing and enigmatic writers of the twentieth century. Born in 1894 in the Habsburg Empire in what is now Ukraine, and dying in Paris in 1939, he was a perpetual displaced person, a traveller, a prophet, a compulsive liar, and a man who covered his tracks. 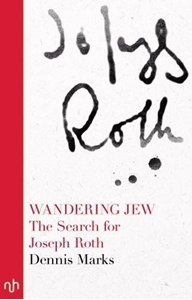 Through the Eastern borderlands of Europe, Dennis Marks explores the spiritual geography of a still neglected master and uncovers the truth about Roth's lost world.